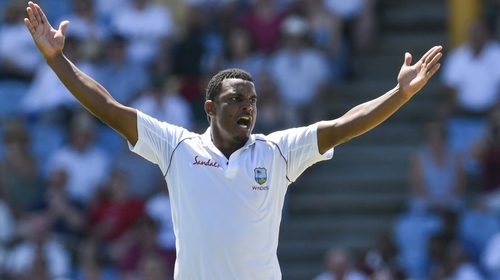 West Indies fast bowler Shannon Gabriel has been charged for language used during the third test against England on Monday, the International Cricket Council (ICC) has said. Gabriel's comment to Joe Root was not audible to television viewers but the England captain reportedly was heard telling the bowler: "There's nothing wrong with being gay". "Shannon Gabriel has been charged with a breach Article 2.13 of the ICC Code of Conduct," it said in a statement on Tuesday. It "is intended to cover a Player or Player Support Personnel directing language of a personal, insulting, obscene and/or offensive nature at any Player, Player Support Personnel, Umpire or Match Referee during an International Match," it reads. England won the final test in St Lucia on Tuesday but West Indies claimed the series 2-1.